Direct Manipulation Toolbars - Tools at Your Fingertips! I took this weekend off for what is probably the last snowboarding trip of the year to Mammoth Mountain in California. It was a nice break with good friends. I came back tired and sore, but otherwise, unscathed! 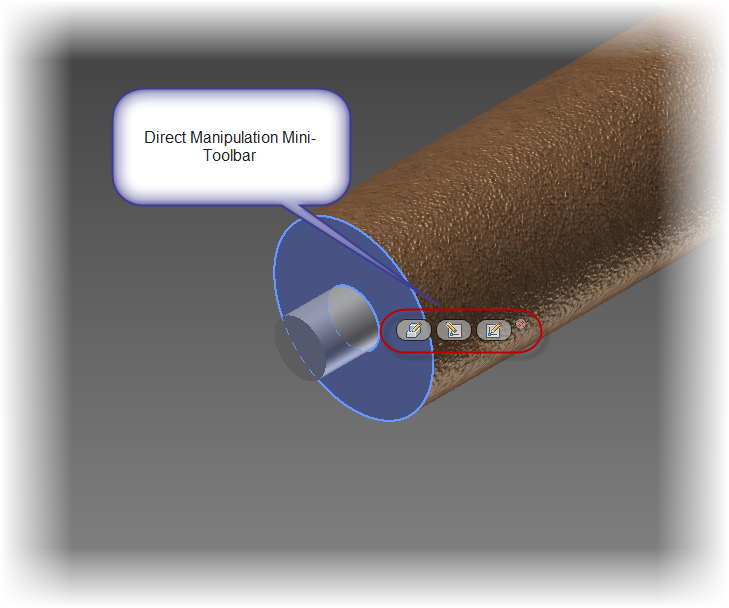 During that hiatus, I did think about what was next in Inventor, and I did want to talk briefly about the new direct manipulation mini-toolbars. They might seem simple. A little group of buttons that give you options for your tool, all next to your mouse cursor. They don't necessarily add a new tool, just give you a different way to access them. But don't discount them so soon. As I've started practicing with them, they make things so easy to reach, and flow so fluidly. It's like reaching into your tool box, and your hand instantly finds the 13/16 deep socket with out fishing around. So here's a video to take a look at! 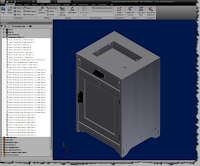 There's a lot of new features inside of Inventor 2011. Definitely more than enough to shake a few of those proverbial sticks at. Since I'm currently snowboarding in Mammoth, I'll be keeping this one brief. Two of the new sketching features are dynamic input, and closing a profile. 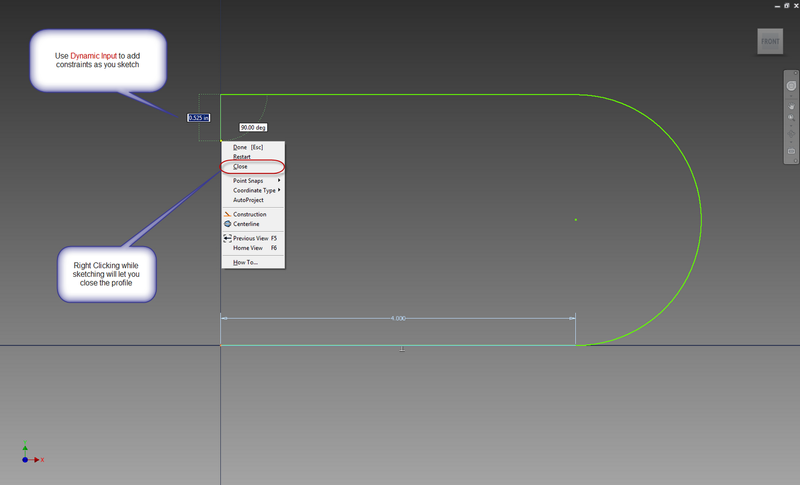 Dynamic input is similar to the AutoCAD function, where you can type the size of a sketch entity as you create it. The big difference, is in Inventor, it will let you place the parametric dimensions as you go, instead of creating them once the sketch is finished off. Definitely a potential time saver! The other is one that is what I refer to as 'subtle but significant'. If you're creating a sketch, and you're ready to close the profile, you can now just right click, and choose 'Close'. Just like that, the sketch closes! It doesn't have all the flash of those viewing tools, but it is a nice little day to day tool that I know I'm going to be using quite a bit! And don't forget! The default option for subscription customers is to download the software. If you want to have a box sent to you, you have to opt in. 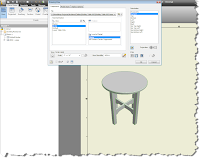 What's New for Autodesk Inventor 2011 - Sketching! There's still more to come. There's so much to write about, it's hard to know where to start! There are days when you go into a situation, and find that there's something that's been there all along, and for a long time, you've never noticed it. Today, i was in Inventor, and took a quick spin through the What's New in 2010. And there it was. 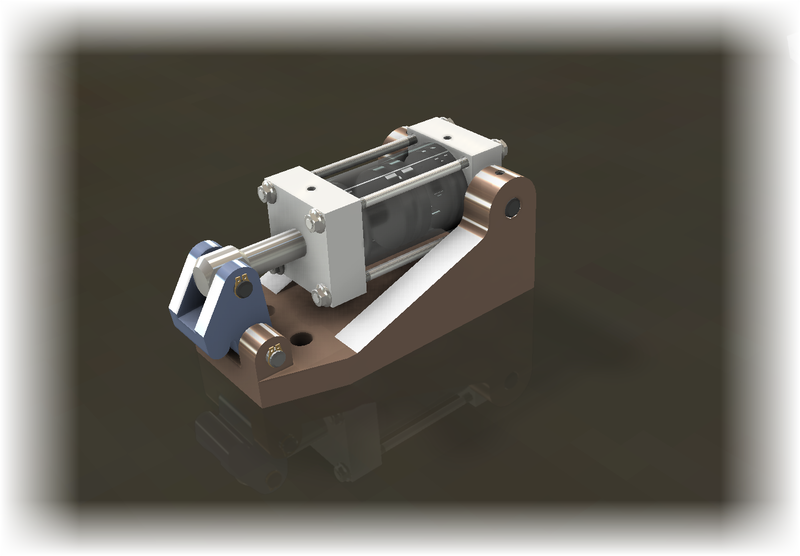 A tool that was added in Inventor 2010. A tool I probably saw and took note of. A tool that once I took note of it. I promptly forgot. That tool is showing component names in your assembly browser. This was a tool I could have used more than once. One that was avaialble to me. And one that I hadn't taken advantage of because my memory rivals that of your typical goldfish. So without further adieu, here's a video on how to turn it on! I'll confess that this is a bit of a 'redo' of a previous post. But the spammers had overrun that post, so like the cops busting up a party that's gotten out of hand, I had to delete that post and kick them out. The good news? This one is one of the new videos that I've been creating, so it's definitely new and improved. So here it is! Copy Design in Vault! Enjoy! Shortcuts in Autodesk Vault is a tool many times overlooked by all of us. For those of us using Vault for a while, it lacks the flashiness of a 'Copy Design' or 'Where Used' option. But what it does have is the trusty reliability of a tool that makes life just a little easier, day in , day out. And that's something that should never be taken for granted! What is it about something as simple as a shortcut that makes it so wonderful? 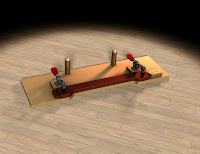 Today, I'm going to start with a jig that many who've followed this blog have seen before. Naturally, I keep this project in Vault, but it's a few folders down, beneath the project that uses it. An inside joke for those who've listened to the B-52s. It's not a big deal to dig into the folders, whether browsing in Vault, or opening from Vault in Inventor. But it does have that 'nag factor'. Sometimes you click on the wrong folder and go down the wrong path. You might forget exactly which folder the file is in if you haven't been there in a while. While it's true that Vault provides the tools that help you find the file, it also provides a tool that eliminates the need to have to go searching for the file. That tool is a shortcut. 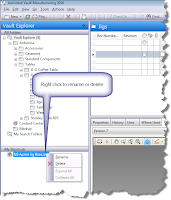 And all you have to do is right click on the file or folder in either Vault Explorer, or the Open from Vault window in Inventor. You'll be shown the option to create the folder. And what does this do? You now have a shortcut in both Vault Explorer, and the Open from Vault tool in Inventor! Now you can use the shortcut to jump right down to the file, instead of browsing through all those folders. You can have as many shortcuts as you want, and if you right click on the shortcut in Inventor or in Vault, you can rename, or delete it completely, so you can always make sure you have easy to find shortcuts, and only the shortcuts you need. And that's it. Like the rugged lineman that gives the quarterback time to find an open receiver, the shortcut tool is often overlooked and doesn't always get the credit, or utilization it deserves. If you're using Vault, take a look at it. It can be a great addition to your box of tools!